Coming from Sweden and going on this ride it far exceeded my expectations. Ladakh was amazing. The ride was tough, as an adventure should be. The amount of love and care Himanshu put in to this gave it all a feel, not like a tour, but as a great ride with good friends.I can highly recommend it to anyone wanting to experience beauty and a proper biking adventure. Having started with my career, it was now time to fulfill my wishes , that is to experience all the things i had in my bucket list. Its worth touring with The Dream Riders..
You feel secured each day, each moment. Well well well... Thinking about a mototouring trip to Ladakh then you definitely don't have to think much and do endless research because "Dreamriders" is the answer. Planned and meticulous in their approach. They are a fun team which make your experience way beyond your expectations. I must say that they are a perfect team to go for.. Down to earth and caring is how i can describe each one of them. "Hiren" i must say is a perfect captain and he just makes sure you are comfortable and have the best of experience. I was a solo pillion and trust me never felt lonely or bored. 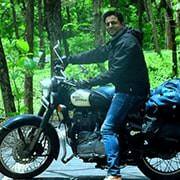 A perfect answer to your dream destination...go for it... Vroom vroommm... Ladakh with Dream Riders for sure!!! .... and The Dream Riders delivered. Before i went to this trip i read somewhere that trip a year ago- Wouldn't know where to start, but first I would like to say special thanks to Deval (manager) and Ronak (captain) you guys with out a doubt went out of your way and made our journey something we'll remember for a life time including the night of my 30th birthday, so thank you. My partner and I flew over from New Zealand looking for a new experience, something real and authentic which is hard to find in today's well-beaten path of travelling..... and The Dream Riders delivered. The accommodation and food were excellent, the group was well organised and everything was provided for a carefree experience. The roads were challenging at times but that only adds to the experience. I've never been inspired to write a review before but the Dream Riders deserve an excellent. Well done. "THANK YOU" !! Let me begin with two words - "THANK YOU" !! There are many tour operators out there; but I wanted to choose the best one. 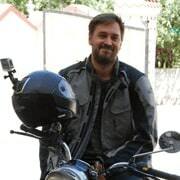 Now after travelling with you, I am convinced and I would recommend "Dream riders" to everyone who wish to visit Ladakh! 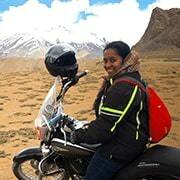 You might have seen many women riders around you - but I am glad to be the one to do my first trip to Ladakh with Dream riders. Being the only female rider, I not only completed this bike trip but also lived my dream every single moment, which means a lot to me personally. It was one of the best trips I've had in my life. You and your team took care of everyone and everything. It is really a big deal to organize a tour like this with best stay possible, good food and that too for the large group of people. 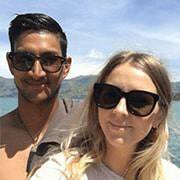 You and your team are doing a great thing Hiren. Wish you all the best and May you see the best things in life always! 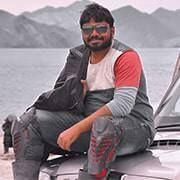 Travelling with Dream Riders Group, Ahmedabad based is a dream come true. Our travel was to leh-ladakh with entry from Srinagar & exit from Manali. Our Group was X15/16. I Am Pinakin Shah based at Vadodara. After much deliberations & thinking & looking into the prospects of other operators from Delhi, Gurgaon,Vadodara, Pune, Mumbai...zeroed in to the "The Dream Riders Group" , a Ahmedabad based Company having its office also at Srinagar, Leh & Canada. My decision to go with them was because of their excellent service & communication with a smile by their staff & always a welcoming approach. 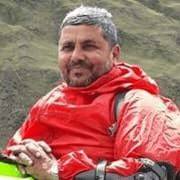 I did realise that when their employees are so good, how good their Boss/owner must be & how caring & dedicated to his staff he must be & that is Mr Hiren Patel whom we met at Manali & realised that he is equally caring to his customers too & that philosophy I did see in all his employees. Especially our Team Captain Mr. Ronak Upadhyay did everything to see that his team was comfortable in all aspects. He understands & adopts to the situation accordingly that befits it. 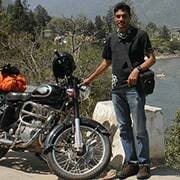 Mr. Ronakji especially came back from Manali to take us back, as my Himalayan met with a puncture. That shows his care & concern for the group, which I appreciate it very much. No doubt, the back up team & a rider with pillion were there with me. The accommodation & food facilities were just great & equally the staff at the hotels/resorts were equally helpful & very co-operative. Special thanks to Mr. Devendra the staff at the frontline office for helping me out with my queries tirelessly when I happened to visit the Ahmedabad office & whenever I happened to phone to them. Special thanks to our Group Captain Mr. Ronak Upadhyay for his wonderful liasioning & backup mechanic Niyaz Our Group also was very lively & helpful to everyone in different situations. Whosoever reads this review & desires to join their trips, I request them to just do it & they will be very happy to be associated with them without any regrets. Adieus & Good Day, looking forward to in anticipationin to the future trips. We thank the entire team for all the support extended to us during our trips and we are looking forward to many more rides with the team in the years to come! I rode with dreamriders for BHUTAN2017–X2. It was my first ride with Hiren & team. And had most amazing experience!! One of the interesting thing I noticed was, more than half of the riders already rode with Hiren in the past and had good memories to share. Bike provided was new RE standard 500 - 2016 model and was in excellent condition. There was no mechanical issue with bike, which resulted in smooth trip. Accommodation was decent and value for money. Trip was managed very professionally. and I will ride with them again!! Kudos to dream riders!! Before i went to this trip i read somewhere that trip. It was one chilly & wonderful Saturday morning, when we landed in Manila for bike-riding with The Dream Riders Group. Being an inexperienced casual bike-rider, I was nervous about my first long ride of 13 days & that too on a challenging terrain of Manali-Ladakh-Srinagar. After reaching hotel in Manila, first thing I asked Hiren Bhai ‘People say these Roads to Ladakh are too risky, is it really true’. Putting his goggles on, he smilingly said ‘Tension Na Le Bhai, Hum Hai Naa, Ho Jaayega’. Accommodations at all the stops were pretty good & hygienic. Bike maintenance was being done on daily basis. I thank all the crew members of Dream Riders, to help us out at each and every point of the trip. To elaborate in detail I was solo rider and a bit nervous as i was travelling alone(Did not know anyone on tour) but Dream Riders made it all easy and memorable ride from the start. Right from start what to carry, what not to.., how will be rides and many more things were Managed to the minute details which makes rides much much easier.. Whole tour was such beautifully organised that You can Enjoy the Ride, Enjoy the scenery , Food on the Go and at end of day a relaxing Dinner meets without tiring yourself out..
about Bikes...almost all the Bikes were new and Bike were properly maintained on day to day basis. A perfect backup service support in case of Bike failure made journey much easier. In case of accommodation, The best possible space was provided at every place we had stay..
About Food, as read in different blogs i thought Food will be a bit of problem. but i was happy the Food we got even in remote locations like Nubra Valley. baggage... this is one of the main problem in this type of trips. but it was managed so efficiently that Made whole trip easier. 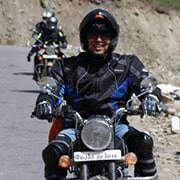 So basically if you want to ride and Enjoy Tension Free Leh-ladakh... " Dream Riders" is the name. 3. Good support crew . And I must say we were not let down. All of the above were met completely to our satisfaction and more. 1. We got a Bullet 500cc bike which had run 3000 km. Which in my opinion is just perfect. A new bike may have teething trouble and an old one may just not be comfortable or reliable. The bike that we rode for 15 days was just perfect. 2. The accommodation I must say was definitely among the best value for money places. 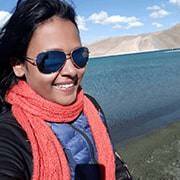 We just loved the our stay at Pangong, at Tso Moriri, at Nubra... actually at every place. It was memorable. 3. We were lucky to not land into much bike trouble except for the first day when the bike had terrible pick up. But that was fixed during lunch on day one by the mechanic who rode with us. And ever since, there was no issue. 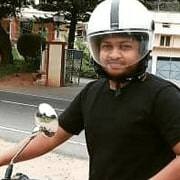 There were others who were not so lucky with their bike, but then, Hiren and his team made sure to arrange for bike swaps etc in order for everyone to not have a painful experience in spite of having breakdown of bikes etc. But despite being a very professional team what really was the best part of the trip was the warmth and friendliness with which Hiren, Rahul and Shahid ran the show. They ended up riding like our brothers for the 15 days and we now have friends for life. I would definitely recommend riding with dream riders. The accommodation ,the availability of a mechanic and back up vehicle and the enthusiasm shown by The Dream Riders Group Team are some of the things that helped make our trip a memory of a lifetime !! Till Now i have done three trips[ladaakh-kerala-arunachal] with the group and always it comes as a new experience with them !! Always I make many great friends on the Trip ! 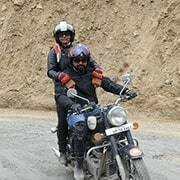 if you want to enjoy the magnificent Himalayas on two wheeler as well as feel safe on road with dangerous terrain’s, be part of The Dream Riders Group lead by professional’s. I loved every minute of the trip.They are competent driver with thorough knowledge of terrains, gels well with riders, drive safely as well as enjoy the Himalayan beauty. We stopped at all tourist point in between our route as well as sufficient required breaks. I would strongly recommend to all my friends and riders planning to take Leh Ladakh, Arunachal, North - East, Rann of Kutch or Bhutan Bike trip to choose this team. Wish entire team all the best and hope to travel with them soon in near future Again & Again & Again & Again ! !